Historically, coalition Governments are not known for their longevity. This is mostly due to competing ideologies and hugely inflated egos that inevitably collide. However, I believe that men and women of conscience, good intentions and integrity could make any coalition work. The recently created Democratic National Alliance (DNA), forged from the leftovers of otherwise insignificant parties has the potential to form an effective coalition if it contains the right ingredients. In culinary terms, it must be a political paleau or a callaloo if you prefer. As Trinbigonians, we all enjoy paleau and callaloo if prepared with love and all the essential ingredients are present – hot pepper and all. 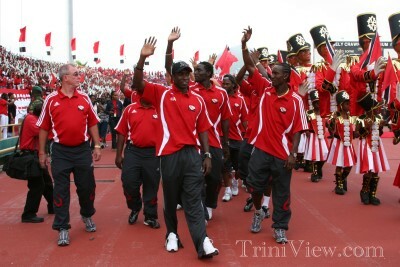 The Hasely Crawford Stadium was filled with thousands of supporters from all over the country to officially congratulate the Trinidad and Tobago football team, the Soca Warriors, on their World Cup efforts. Trinidad and Tobago was unable to make it to the second round of the World Cup football competition after being defeated by Paraguay, but they were successful in entering the annals of history as the smallest country to ever qualify for this competition. It was for this reason that the entire nation was proud: win, lose or draw. …Did Crouch break the dreadlock? MANY international media houses yesterday hit the controversial tugging of the plaits of TT defender Brent Sancho by which England striker Peter Crouch broke the nil-nil tie to which TT had held the Brits up to the 82nd minute.